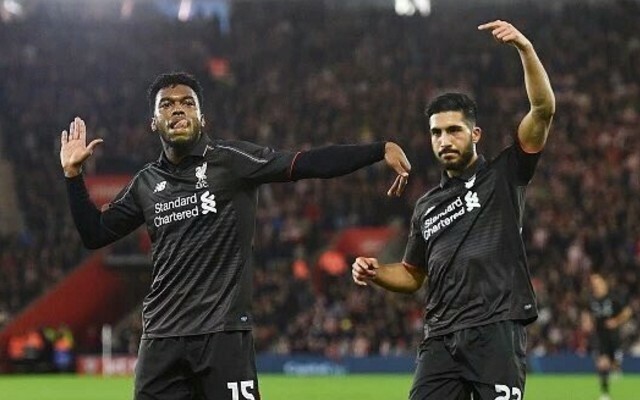 Liverpool's player ratings as Reds MAUL Southampton 6-1!!! Liverpool’s stunning player ratings as Reds MAUL Southampton 6-1! Liverpool embarrassed Southampton this evening in the League Cup quarterfinal, thrashing our hosts 6-1 thanks to some wonderful, instinctive attacking play. Jurgen Klopp started a weakened lineup, with Nathaniel Clyne, Jordan Henderson and Roberto Firmino all rested – but none of the bench are guaranteed a start after what we saw from the starting XI tonight! Making his return to the side, Bogdan was solid, and can’t be blamed for the goal. Tonight wasn’t about the Hungarian though! The youngster’s been with us since he was six, but it’s unlikely he’ll have a long-term future in fairness. Endured a torrid start, ripped to shreds by Dusan Tadic, and was booked too – but in fairness, grew into the game as his team-mates did. Moreno’s been in the press all day today, reacting to the Real Madrid transfer news, but he put in all behind him despite not picking up his man for Southampton’s opener. He thought he’d scored our third, but Origi is claiming it. As ever, the 23-year-old was energetic, and Klopp had the luxury of giving him 15 minutes rest at the end. His cross for Ibe’s goal was especially impressive. Solid and unfazed by Southampton’s attackers. Another excellent away performance from the Slovakian, who’s developing a real partnership with Lovren. Booed relentlessly, Lovren wasn’t affected by the hatred aimed in his direction. The Croat dealt with Graziano Pelle well. Since winning a spot back in the team, he’s impressed. Back from his suspension, Lucas was a cool and calm ahead on a frantic evening. Cleverly found space deep and opened up our play by spreading the ball to the wings. And he wasn’t even booked! Excellent, as it happened! Made Sturridge’s first and played a series of nice forward passes. The Welshman looked visibly more confident tonight, and as we scored again and again he began to ooze more class centrally. Emre Can is banned for the weekend, and he’ll be disappointed to miss out. A beautiful assist for Sturridge’s second was the highlight for Can, who impressed throughout. When he’s on form, he looks so classy in midfield – technically astute and incredibly powerful. Unfortunately booked in the 2nd, and it shows how far he’s come that we’ll badly miss him at Newcastle. Didn’t get himself on the score-sheet or register an assist, but his contribution was key. Lallana plays best when we’re winning, so when we win 6-1, he purrs. Countless flicks, turns and clever passes. Most of them came off. Not expected to start the game by most this morning, the ‘struggling’ Belgian shut up all doubters with a hat-trick – as he’s claiming the first. His movement was great, he wanted the ball, and his Aguero-like finish for our fourth was stunning. Origi secured his third late on with a header from a Brad Smith cross. Wow. What else can be said? When he’s fit, and he is now, Sturridge is brilliant. Not good, brilliant. He had two chances in the first-half and buried them both with aplomb. His movement was jaw-dropping and it’s clear that keeping him fit is key to our chances in any competition this year. Another good runout for the skipper. Expect him to start at St. James’ Park. Better than Randall on the other side during his 15 minutes. Lovely cross from Origi’s third. Pace and power. Jordon Ibe. Scored his first goal in England for Liverpool with a low strike from a Moreno cross.